Are the Blue Jays the team to beat in the AL East? With the exception of the Los Angeles Dodgers, the most aggressive club this offseason has been the Toronto Blue Jays, who have made a pair of trades with woebegone N.L. East teams to bolster their roster. After taking part in the Marlins' epic firesale that brought Jose Reyes, Josh Johnson, Mark Buerhle, Emilio Bonifacio and John Buck north of the border in exchange for some prospects and other spare parts, the Jays made a move for N.L. 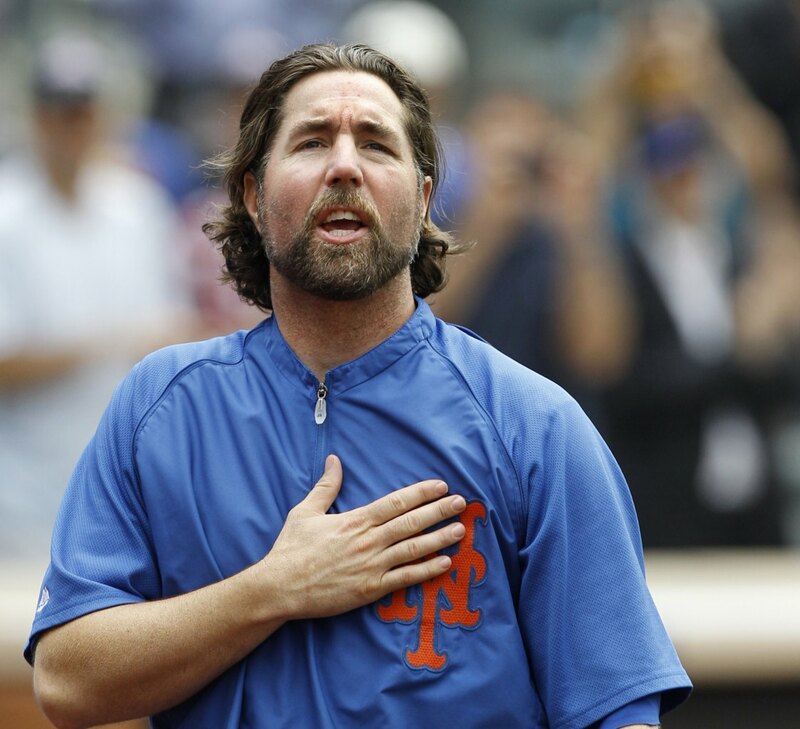 Cy Young Award winner recipient R.A. Dickey while sending their top prospects, catcher Travis D'Arnaud and starter Noah Syndergaard to Queens. After these bold moves, are the Blue Jays now the team to beat in the A.L. East? I will say, and this does not happen, but I do think the Mets go the better end of the Dickey trade. Yes Dickey is coming off a brilliant season but he is also 38 years old. Knuckleballers are known for pitching much longer than normal pitchers (Phil Niekro pitched to 48, Joe Niekro pitched to 44, Charlie Hough pitched to 46 and most recently, Tim Wakefield pitched to 45) because the knuckleball is an easy pitch on the arm, but I would not have given up a top prospect, let alone two, for a guy that old. An established position player, sure, but to get prospects like D'Arnaud, who looks to be an All-Star catcher, and Syndergaard, who projects to be a good no. 2 starter, is a strong haul for the Mets. That said, bringing in Dickey bolsters what was already a much stronger rotation than what it was a year ago by bringing in him, Johnson, who is a Cy Young-caliber pitcher when healthy, which has been a concern over the past couple of years, and Buerhle, who may be in his thirties but has pitched pretty consistently well over his career. Add that trio to Brandon Morrow, who had a strong 2012, and Ricky Romero, who really struggled a year ago but it still only 28, and that is a pretty strong rotation. Of course, you will need Johnson to stay healthy, Dickey to not take a step back after leaving the N.L., Buerhle to continue to pitch well as he gets older, Morrow to continue to take steps forward and for Romero to pitch like he did in 2011, but that still shapes out as a strong rotation. Couple that with what should be a solid lineup that has added Reyes and steroid use/website extraordinaire Melky Cabrera and returns Jose Bautista, a full season of Colby Rasmus and star third base prospect Brett Lawrie and this club looks to be a real contender. Of course we did think the Blue Jays would be a contender a year ago and they fell to 73-89. The pressure will be on new and former Jays manager John Gibbons to make this team a contender in the East and quite frankly, there is an opportunity to do that. The Yankees have shown remarkable restraint this offseason as they try to shed salary to get under the luxury tax window and as their roster gets older and older, expecting a decline is reasonable. The Red Sox were a disaster this year and this looks to be a transition year in Boston. Tampa Bay still has tremendous pitching even after dealing James Shields and Wade Davis and are always in the mix. The big question will be how the Orioles respond from last season's surprise playoff run and are out to prove that they are not a fluke. There is an opening for the Jays, seemingly, and if they prove to be more than the tease they have been for years, you could see them playing in October for the first time since 1993.